Well, I'm back with another list. Initially I was thinking of just doing a list of my top ten favourite foreign language films, but I realised that I might have bitten off more than I could chew. Instead, I'll be doing a series of different lists - starting with this one, on French language films, then moving on to one on Spanish language pictures, and finally a list of my top ten South Korean and Japanese movies. As ever, there were a few films which came close to making the final cut, but just missed out. These include Mesrine: Killer Instinct/ Public Enemy #1, Au Revoir Les Enfants, A Very Long Engagement, Time Out, Hidden (Cache) and the City of Lost Children. Close, but no cigar gentlemen. This gripping thriller sees the life of ordinary family man Julien (Vincent Lindon) thrown into disarray as his wife (Diane Kruger) is arrested, and then imprisoned for the murder of her boss. Feeling that she has been the victim of a terrible injustice, Julien resolves to do everything he can to bust her out of prison. The film was recently remade as the Russell Crowe vehicle 'The Next Few Days', but I'd be surprised if the remake comes close to the tension or excitement of the original. It's cracking entertainment from start to finish. A tremendously moving and unique film which tells the amazing story of Jean-Dominique Bauby in his own words. Formerly a high flying magazine editor, Bauby suffered a terrible stroke, which left him almost completely paralysed and only able to communicate by blinking his left eye. Despite this handicap, he resolves to write a book telling the story of his life. As well as being tragic and poignant, the film is also unexpectedly amusing, and Bauby is remarkably candid about himself, showing both the good and bad sides to his character. It's a mark of the film's success that it won or was nominated for numerous awards on both sides of the Atlantic (including at the BAFTAs, Cesars and Oscars). The first of two mentions on this list for genius director Jacques Audiard. 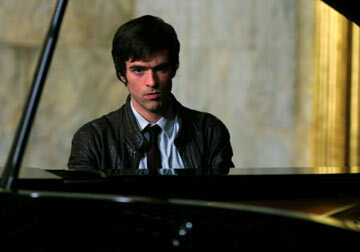 This brilliant but highly unusual movie has leading man Romain Duris torn between following his father into a life of crime and pursuing his dreams of becoming a pianist. As an entirely tedious aside to this list, I used to have these film on DVD, but foolishly chose to swap it for a copy of Pan's Labyrinth. 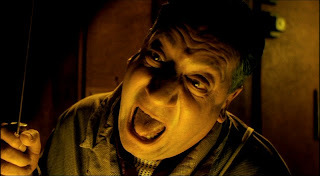 Now, Pan's Labyrinth is a fine film in its own right, but I still feel that I may have got the short end of the stick. To translate this film's appeal into a simple mathematical equation, Jacques Audiard + Romain Duris = awesomeness. Proof that you don't always need big name stars, a high concept premise or a huge budget to create a brilliant film, The Class documents a year in the life of a teacher at an inner city comprehensive in Paris. While that might not sound like the most thrilling set up for a movie, there's more tension, intrigue and excitement in this one classroom than in any number of lame Hollywood thrillers. What's even more remarkable is that the cast is largely made up of non professional actors, who improvise together brilliantly. Formidable! 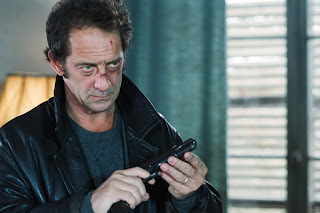 This French take on the slasher genre is one of the best horror films I've seen in recent years. Tough young student Marie (Cecile De France) arrives at her friend's house in the country for a weekend getaway, but finds herself pursued by a remorseless lunatic wielding a straight razor. Try as she might, she can't seem to shake the killer, and her flight from him puts everyone in her path in danger. One small downside: for some reason, when the film was released in the UK, it was under the uninspired title "Switchblade Romance", instead of the original (and far cooler sounding) "Haute Tension". But that's hardly a major problem. It's grim, scary and thrilling, with a controversial twist at the end. 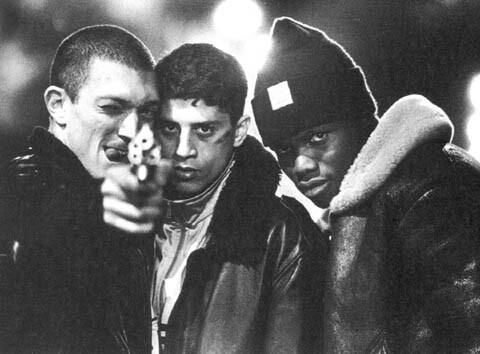 A dark, disturbing look at the side of Paris which you don't see on postcards, this gritty urban drama from Mattieu Kassovitz examines the lives of three young residents of one of the outer arondissements in the aftermath of a riot. We spend a day with the level headed boxer Hubert, wisecracking Said and the tightly wound, unpredictable Vinz, all of whom have different views on their lot in life. The film seems eerily prophetic in view of the widespread rioting which has affected both London and Paris over the last decade, and finishes with a powerful, haunting climax. This was the first French film I ever purchased on DVD, and remains one of my all time favourites. Moving on from something dark and gritty to a light and delicious concoction. Ameleie is the complete opposite of La Haine, painting a rosy picture of the lives and loves of a number of residents of Paris' Montmatre district. Audrey Tautou is superb as the eponymous heroine of the story, a shy young woman who seeks to improve the lives of the eccentric but loveable people around her. The film has been criticised for painting a misleading and unrealistic picture of modern day Paris, but I think these criticisms are missing the point. The film isn't supposed to be a true to life representation of the modern world, it's a kind of fairytale, an idealised version of reality. Above all else, it's astonishingly beautiful to look at - director Jean-Paul Jeunet has a wonderful eye, and the production design on the movie is absolutely top notch. Based on a bestselling novel by Boileau-Narcejac, director Henri-Georges Cleuzot apparently swooped in at the last minute to gazump Alfred Hitchcock in the battle for the rights to make the story. Having done so, Cleuzot proceeded to make a thriller as full of tension and suspense as the very best films that Hitchcock made himself. 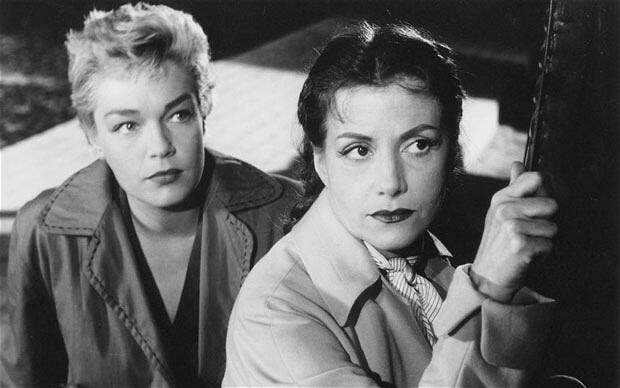 The plot sees the wife (Christine) and mistress (Nicole) of a cruel schoolmaster teaming up to arrange a seemingly perfect murder. Despite the plan appearing to have gone off without a hitch, Christine's nerves are set on edge as she keeps seeing visions of her late husband. Meanwhile, a suspicious detective is hot on the trail of the culprits... It's just a superb, gripping movie, with fine performances all round and a plot with a brilliant twist in the tale. 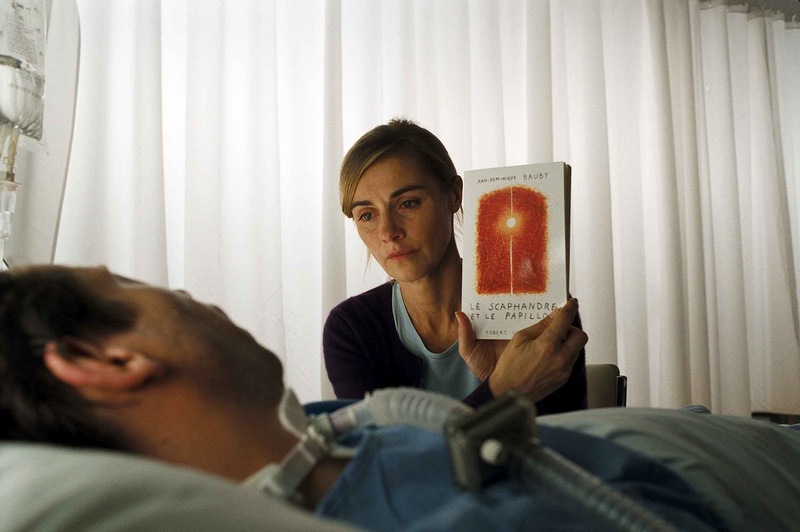 A second appearance for director Jean-Paul Jeunet on this list, this time in partnership with Marc Caro. 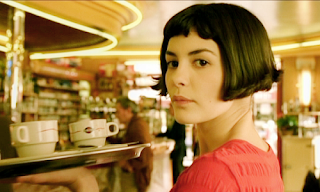 As with Amelie, the film is a treat for the eyes, and though it's still funny, things are taken in a far darker direction this time. Set in the near future, we see a vision of a post-apocalyptic Paris in which food is in terribly short supply. The inhabitants of a run down tower block have arranged a devilish scheme to get their hands on some grub; they advertise in the paper for a new handyman, then after he's arrived, settled in and fixed a few problems, he's turned into cuts of meat and eaten... As is typical with Jeunet movies, the block of flats are populated by a host of eccentrics, from the fiendish, charismatic butcher (Jean-Claude Dreyfus), his timid, shortsighted daughter, a man who lives in soggy flat full of frogs and of course, the ill-fated handyman, a former clown played by the rubber faced Dominique Pinon. I believe this was the first French film (or indeed subtitled film of any sort) that I ever saw, and it's always been dear to my heart. Imagine a French take on the HBO series Oz, add in a dash of Goodfellas and a hint of The Shawshank Redemption, and you've got A Prophet. An astonishingly powerful and gripping story, this movie takes hold of you from the very first frame and never lets go. In many ways, it's a damning indictment of the French prison system; young inmate Malik El Djebena (Tahar Rahim) comes into prison as a naive, illiterate petty thug. 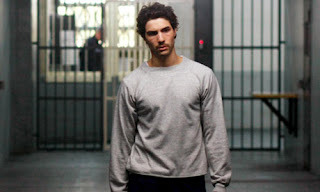 After he is taken under the wing of coldblooded Corsican gangster Cesar Luciani (the brilliant Niels Arestrup) and trained as a killer, he emerges from his sentence as a fully fledged criminal mastermind. I remember being absolutely blown away by this film when I first saw it at the cinema; in all honesty, I don't think I've seen a better movie since then. Still, Jacques Audiard is returning with a new picture (Rust and Bone) in November, so I'll have to see if he can top this masterpiece.